The “Gratitude Wall” in the classroom of AP Economics teacher Alexander Davis features sticky notes of things that Paly students are grateful for. Several Paly teachers invited students to participate in this activity on Monday after the school was informed of the death of a Gunn senior this past weekend. Photo by George Lu. On Monday, the Palo Alto High School community received the devastating news of a Gunn High School senior who lost his life to suicide on Jan. 24. Our deep condolences go out to the family of the individual and the Gunn community. While withstanding great hardship, they have managed to inspire us with supporting one another. Even as we grieve with our friends and neighbors, The Paly Voice would like to pause to appreciate the efforts made by Paly adults to support students on campus during such a difficult time on Monday and the past week overall. When a Gunn junior died by suicide last November, there was no announcement made to Paly students, and most teachers led class as if nothing out of the ordinary had happened. Although the administration and some teachers were very supportive the day of the November suicide, the increased level of teacher support on Monday was greatly noticed and appreciated. The Paly Voice would like to recognize Paly’s teachers and administrators for addressing the issue of suicide and mental health, offering emotional support and making academic accommodations for students who may have been affected by the recent tragedy. We thank our administration for acknowledging that a Gunn suicide doesn’t just affect Gunn; it affects all of us as a community. We can only imagine how our friends at Gunn are coping and what’s being done at their school, but we hope they feel similarly as to how we feel: that the collective aid we students received from the staff made an incredible difference. At the start of this past week, every single 1st Period teacher read a scripted email to their class, informing students about the events that occurred over the weekend and the resources for addressing mental health. Later that day, Principal Kim Diorio sent an email to parents, which included an excerpt of the scripted message. 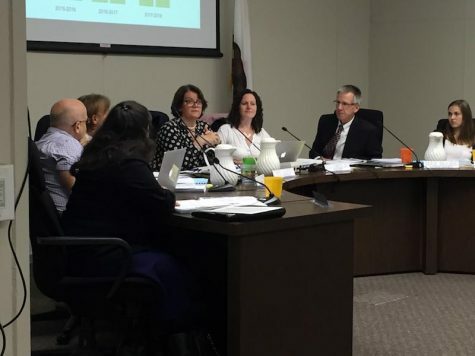 This message noted several out-of-classroom resources, such as crisis hotline phone numbers, contact to Project Safety Net and the Paly counseling office. When the required script readings were finished, though, countless teachers offered themselves to students as resources for emotional support, reiterating how much they care for us students and that they are always available if we need someone to talk to. The support continued throughout the day, even after 1st Period ended. Many teachers put lesson plans on hold in place of a day for mental health. Of the 30-some staff members on The Paly Voice, more than half of us had at least one class in which we had zero academic instruction on Monday (not including our 6th Period Voice class). Teachers offered a range of effective methods to discuss our thoughts, release emotions and process our situation. Many English teachers shared the same inspirational article in class and offered students to write down any thoughts, feelings or questions they had on a sheet of paper and to talk about those thoughts if they so wished. This open-ended activity was helpful because everyone can process suicide differently. About half of the staff members on The Paly Voice had classes that took part in a “Gratitude Wall,” an initiative mainly occurring in the Social Studies Department. Students wrote what they were grateful for on sticky notes and posted their gratitude notes on the whiteboard. In addition to the Gratitude Wall, some Social Studies teachers led brief meditation sessions and showed a TED Talk on mindfulness. Not only did teachers focus on mental health during class, but they also made accommodations for homework and exams this past week. 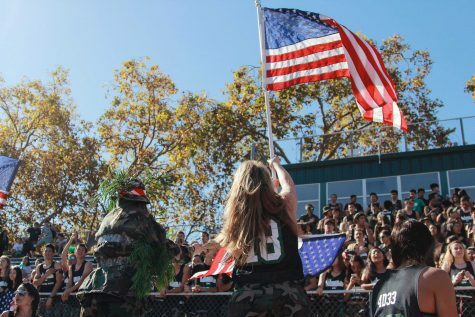 More than three-quarters of staff members on The Paly Voice were offered academic accommodations for at least one class (again, our assignments for The Paly Voice not included). This made us feel that teachers could empathize with our current struggles. Quite often, requiring academic work when students are under emotional trauma impedes learning. Several teachers are not collecting homework this week, and many decided to delay the dates for tests and quizzes or make their scores optional in the grade book. These accommodations are incredibly considerate for students who have been affected by recent events and simply need a few days to recalibrate themselves. Although not every teacher continued mental health-related discussions after the initial announcement, the difference in support we received from November goes noticed and appreciated. The simple yet thoughtful acts from teachers such as sharing food with students or asking each individual, “How are you doing?” really made us feel loved and assured us that we matter. We thank not only the teachers who made their support known to us students, but also the administration team who did more work for us this week than we could ever know about.